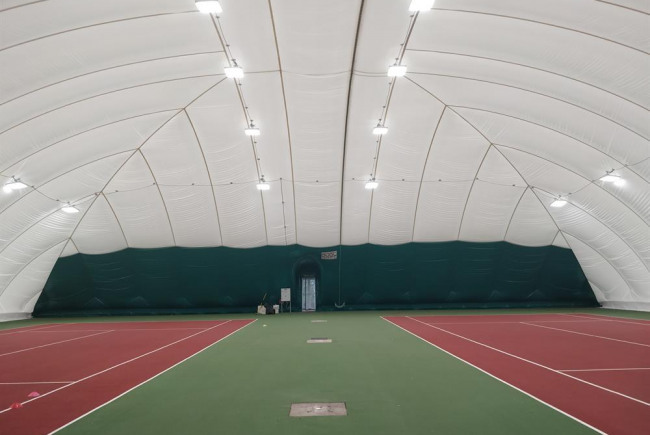 The statistics for Tennis in the UK are devastatingly poor: •	Great Britain produces 1 ATP/WTA ranked player in every 706,708 people – in Czech Republic that is 1 in every 132,729 people. •	In Great Britain there is 2,855 people per outside court and 41,455 per indoor court. In the Czech Republic there is one outside court per 923 people and 1 inside court per 3,955 people. •	In the last 10 years Great Britain has only built 60 indoor courts whereas the Czech Republic has built 2,275. These lack of facilities are the single most limiting factor in tennis development in the UK. Over 60% of UK adults are overweight and obese and over 20% of young people fail to complete the recommended 60 minutes of activity each day. Netball – Our facilities will help to grow this sport and engage more junior and adult players and develop England Netball community programmes such as Walking Netball, Back to Netball, Netball Now and friendly tournaments/festivals. Investment in Sport is vital. As sports, Tennis and Netball are now some of the most inaccessible for young people unless you are a member of a club or attend a well-resourced Independent School. This is why our proposed new all-weather Tennis and Netball Centre has such huge potential to make a difference to old and young across this area of Buckinghamshire. As a school which is set to grow in number to over 1300 students over the next 5 years this will offer all year around play plus the opportunity for dedicated Tennis and Netball coaching to all our students. We also deliver the Sports Partnership facilities for 10 local primary schools increasing the impact to over 600 more students with the opportunity to deliver to further primary schools in the area, We are in a unique position to partner with our local tennis and netball clubs – none of which have any all year round covered play currently. To offer accessible Tennis and Netball opportunities to support the next generation of professionals and Olympians. Over 60% of UK adults are overweight and obese and over 20% of young people fail to complete the recommended 60 minutes of activity each day. This is why investment in new sports facilities is so vital. But such facilities must be situated at the heart of the community and accessible to all irrespective of cost and class. Sports is very important in our life. It can make our life comfortable and happy. If we can play sports we can learn time management, responsibility and team skills . Sports and games can be of great value to people who work with their brains and who lead a sedentary lifestyle. Moreover taking up a sport has also many psychological benefits. It relieves the stresses of everyday life and it helps individuals identify with a group and replace their loneliness with the security of belonging. Playing sports can make you stronger and healthier, contributing to lower obesity rates. The legacy of the 2012 Olympics must be to tackle the inactivity of the next generation. This project is enabled for overfunding. 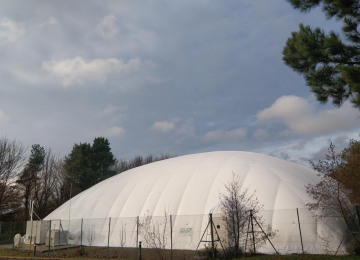 If the project hits its funding goal before the end of the campaign period, any extra funds raised will be spent (in order of priority) on: We would like to raise sufficient funds to install a superior all year Indoor Court cover at a further cost of 317,000. This superior cover would have reduced annual running costs and would have a greater longevity. Holmer Green Senior School is a non-selective co-educational secondary school in Buckinghamshire. As such sport is very important to our school and our students and we are delighted that after over 8 years of campaigning for investment we are finally to benefit from some improved sports facilities as part of an Expansion Plan. Whilst we will gain a new Sports Hall we really want to develop an all year round Tennis and Netball Centre for use by the whole community. 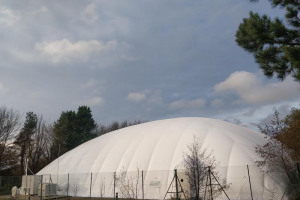 We are an outward looking school and as such our aim is to incorporte outside sports clubs and groups on our premises to both inspire our own students but also to offer wider access to all our facilities for the wider community. We firmaly believe that by working together across our local sports community we can create a Centre of Excellence for Sport at Holmer Green Senior School and the adjacent Holmer Green Sports Centre. The all year Tennis and Netball Centre is the first part of our plan and we believe will change the lives of our community by encouraging a healthier lifestyle, fostering a love for sport and developing the ambition to challenge ourselves to play sport to the best of our ability with the hope of creating the next generation of sport professionals and Olympians. Project Delivery Manager: HOLMER GREEN SENIOR SCHOOL The Project Delivery Manager takes legal responsibility for receiving and spending the funds raised and ensuring the project is delivered.